Contemporary Coastal Living at its Finest awaits you at this 3 Bedroom / 2.5 Bath Mansion in the Sky. Each bedroom has a Private Balcony offering Spectacular Views of the Gulf of Mexico and Intercoastal Waterways. 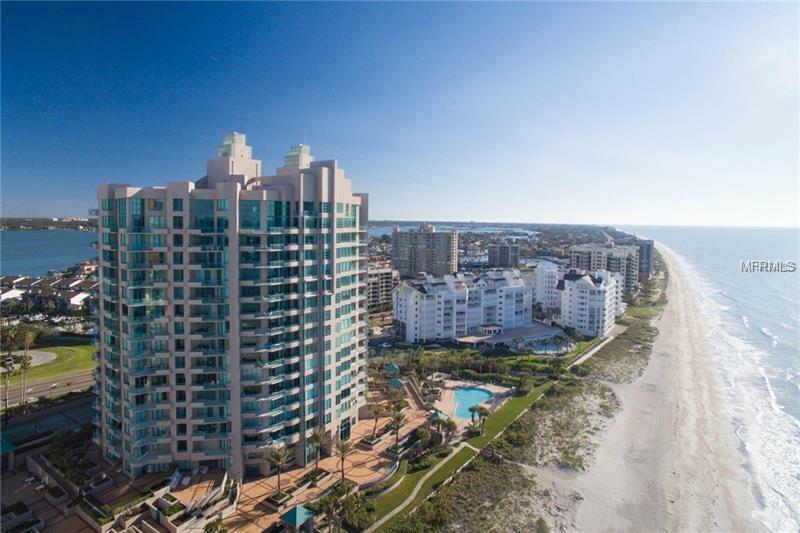 Located directly on Sand Key Beach in Clearwater, which is consistently rated one of the top Beaches in the World. Building Amenities include: Three Heated Pools, Spa, Tennis Courts, Basketball Court, Putting Green, Gym, Sauna, Billiards Tables, Ping Pong Table, and a Club Room for Entertaining your guests. 24 Hour Guard Service, Gated Entry, and a private 1 Car Garage below the building. Ultimar is conveniently located within minutes of Restaurants, Highways, and retail establishments. The unit has been freshly painted with new carpet, and is ready for immediate occupancy or can be remodeled to your tastes. The 10' Ceilings and Floor to Ceiling Sliding glass doors provide plenty of vantage points to view those amazing Florida Sunsets. Listing provided courtesy of Maven Estates, Llc.